Tax Resolution Institute was established in 2008 by tax consultant Peter Stephan who has made appearances on television, radio, and newspapers. His extensive background in tax has enabled him to provide continuing education to attorneys, CPA’s, Federally Enrolled Agents and other individuals in the tax arena. Tax Resolution Institute tax relief services are extended to small and mid-sized companies, as well as to individuals facing a diverse set of tax issues. TRI’s team of professionals includes CPA’s with extensive knowledge in tax codes and logistics. In addition to this power team, the company employs tax attorney, Norman J. Kreisman, Equ., who was trained and certified by the Internal Revenue Service and brings an additional 24 years of experience to a team with a collective experience level of over 50 years. 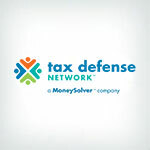 What really sets this company apart is the fact they are able to help those under the toughest economic stress levels with bankruptcy, having experience in Chapter 7, 11, and 13 while specializing in the discharging of both Federal and state taxes. Kreisman has assisted cases for both debtors and creditors – meaning he knows full well what to expect when handling disputes with the IRS and creditors, providing clients a little more leverage in tax resolution. Free consultations are offered to determine whether or not their team of experts will be able to assist each unique case. A retainer fee is required to initiate the tax investigation and relief process, and while they charge more than other companies in the industry, taxpayers may appreciate their payment plan options to help meet the needs of their clients. After extensive research on each financial status of their clients, they’ll work with them to find the best payment plan that fits into an affordable budget. Keep in mind, the payment schedule must be kept or services will cease until payments are made. 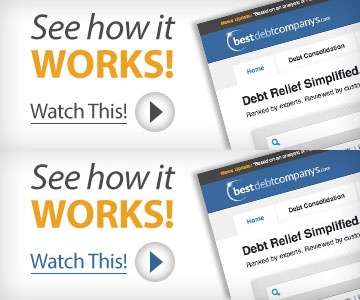 What’s more is they offer a 100 percent money back guarantee. This isn’t something typically seen within this industry, and when refunds are granted, they’re usually prorated. TRI calls this their “Unconditional Guarantee,” claiming if they don’t resolve the tax issues as promised, they will refund the retainer fee, which is usually around $5,000 – not bad. For those with the desire to become educated on all things tax related, they have done well to provide a blog via their company website offering articles to almost anything imaginable relating to taxes. This helps the everyday taxpayer and clients alike, discover options for themselves as well as tips and tricks to avoid getting themselves strapped down under the heavy weight of tax debt and IRS and state issues. While Tax Resolution Institute has an extensive knowledge base, among other quality attributes, we have a few concerns worth mention, such as their lack of accreditations. While this may seem like a slight downfall to some, others may find themselves looking for services with an alternate establishment. While the company does employ an attorney, he’s only one man and can only assist so many individuals at a time. This company also requires clients to carry more tax debt than many of the industry’s competitors with $20,000 for an individual tax burden and businesses carrying over $50,000 in debt. This is why they charge higher prices than their competitors, which is another concern worth mention. Tax Resolution Institute’s business longevity and money-back guarantee are promising, but their lack of an Enrolled Agent. Their high minimum debt is also a concern of ours. Overall, we feel those with high-profile cases may find some benefit by taking advantage of their consultation, but for the individual taxpayer and small business tax concerns, we recommend visiting some of our top recommend tax companies. Their minimum is quite high – around $20,000 for individuals and $50,000 for businesses. They have members of the American Bar Association (ABA) on staff as well as the American Society of Tax Problem Solvers (ASTPS) and AICPA. They do not have any Enrolled Agents on staff. Yes. They offer a free consultation. They offer a 100 percent money back guarantee. Their policy is simple. If for any reason, other than in-cooperation from the client, they can’t fix the tax problem as promised, they’ll provide a full refund of the upfront cost.